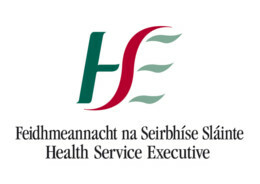 Our thanks go out to the Cork Mental Health Foundation and Cork ETB for their funding support for the delivery of workshop to various groups within the community, and also to the continued support of the West Cork Mental Health Services. And also of course to that great team at the Clonakilty Wellness Committee, all the singers and choirs who participated and to YOU the public for coming along and joining us!! Really looking forwards to returning to Foynes near Limerick on Saturday 23rd July to bring some more harmonies and songs to the community there. In the morning I will be leading a private mentoring session for the local community singing group, ‘Allunde’, and we are inviting people to join us in the afternoon where we will be singing a variety of up lifting and joyous songs. So come along to Foynes Yacht Club for singing Saturday 23rd July 2-5pm. Cost €20 (€15 concessions/students upon request). Refreshments will be provided. All are very welcome to come and join us…no previous experience needed. Here is an opportunity to meet ‘Allunde’ and others in your locality and simply enjoy some uplifting group singing! We are looking forwards to our concert in St. Fin Barres Cathedral next Saturday 2nd July which starts at 6pm. This collaboration has brought together singers from Ballincollig, Ballydehob, Kinsale and Dunmanway and today was our final dress rehearsal….and we’re sounding lovely!! We will be 50 in total…nearly as many as our Australian guests, Trinity Senior Chorale & Mercedes College Choir, who will be singing alongside us…they will be 70 strong!! Do come along and enjoy an evening of varied repertoire in this wonderful venue.